Kamakura is a place to enjoy Japanese tea. 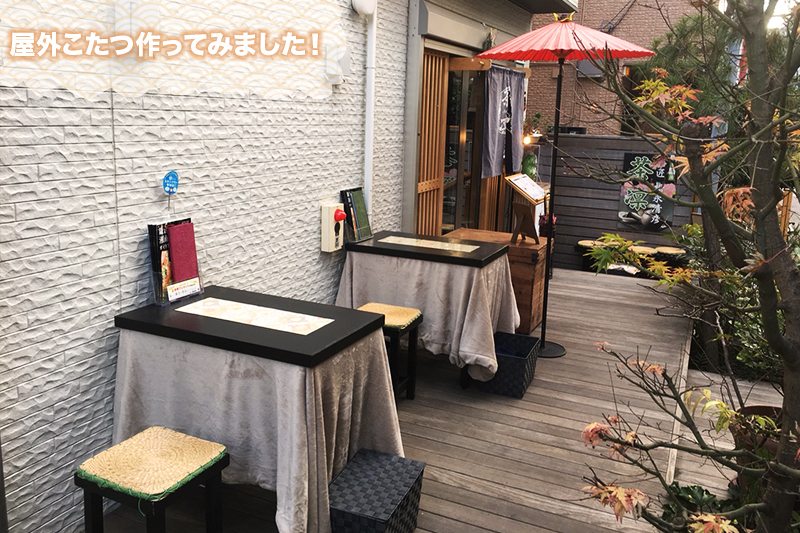 In this café you can enjoy traditional Japanese tea and sweets. We know the best way of brewing the Japanese tea and have stocks of quality tea leaf from favorable regions around Japan. 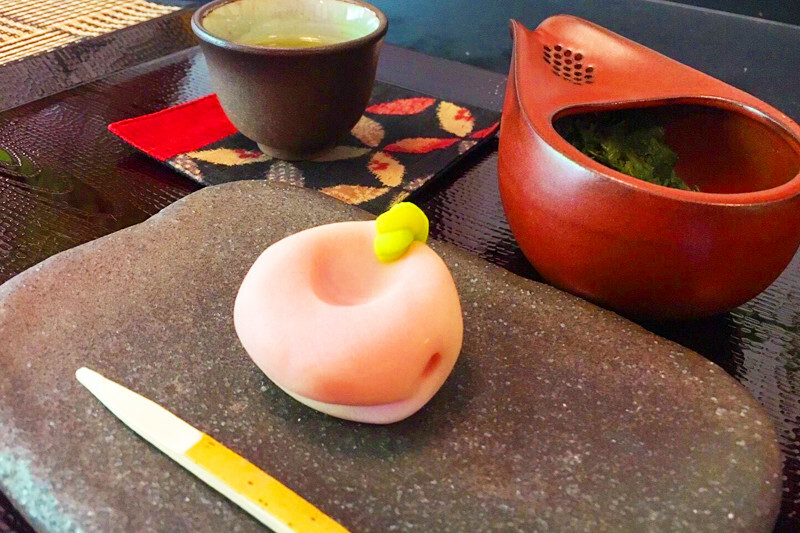 Along with overflowing with the sense of the season, beautiful and delicious traditional Japanese sweets. with our high-class traditional Japanese tea. Please come to experience the wonderful real taste of Japanese tea at our café. Gyokuro is the most famous Japanese tea. 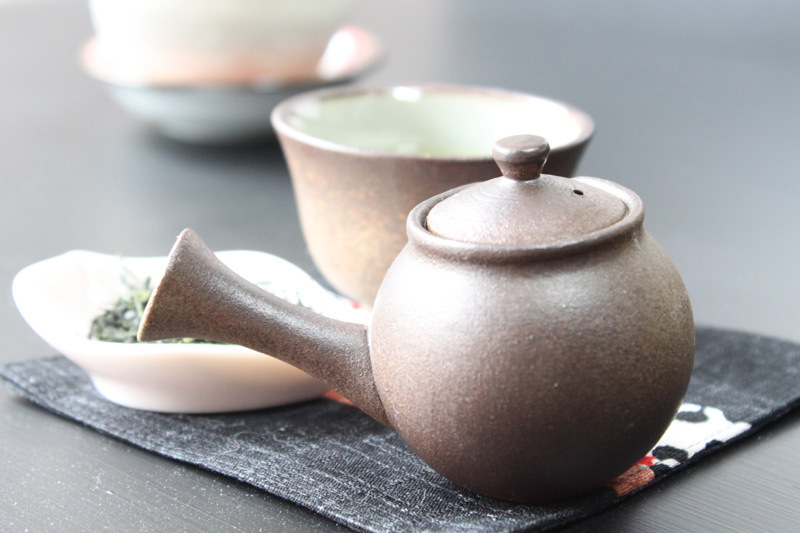 Gyokuro is enriched, nourishing, flourish and rich tea. It is remarkable traditional pure green tea with balance of astringent flavor and scent. We have many kind of tea such Uji tea, Kyo Houji Tea, Kenmai tea and Sen tea. It is not everywhere you can find a café where the owner of Japanese tea instructor would love to hear the deep story about the tea. I would like to tell everyone the true taste of Japanese tea and my passion in Japanese tea. I am open to answer any question about the tea. However due to the lack of English skills, please prepare the translation before entering the café. Please feel free to tell us about your interest and enthusiasm in Japanese green. 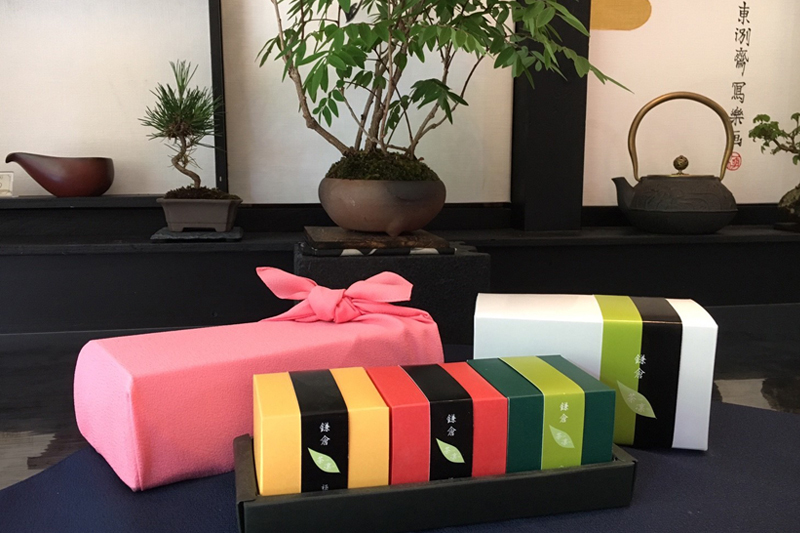 The tea leaves are carefully selected by the café instructor depending on various of tea ceremonies such as Shizuoka tea, Uji tea (including Hakusan tea), Ise tea (Mizusawa tea), Yame tea, Kagoshima tea etc. Despite the fact that our café is close to the lively area of Komachi-dori, it's amazingly quiet and peaceful. The traditional Japanese art spreading through the concept of Japanese modern is a special place discovered to enjoy Japanese tea. 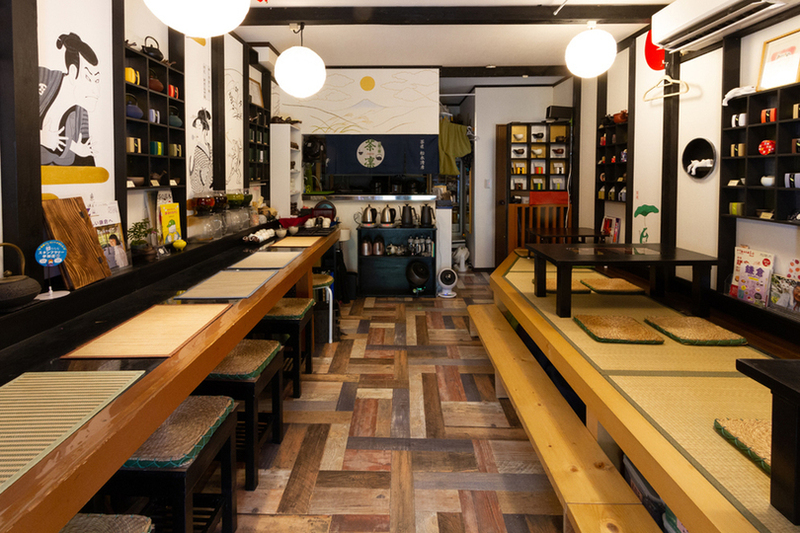 We also have tatami floor space where you can safely enjoy the time with your young child. In the center of tourist spot in Kamakura you will have the chance to enjoy our high-class tea and sweets. Take a cup of unavoidable tea brewed by tea-master and absolutely high-class sweets. Sayama Midori is a rare variety of Japanese tea. The fragrance of beans makes me hardly stop smiling. You can enjoy a cup of rich flavor and good color Japanese tea. This tea brings back good memory. A breed that was born by planting 「Yabukita」 and 「Sayama Greener x Yabuki」 together. The scent of tea leaf makes me remind of spring. The taste has a pretty high quality astringent taste and is refreshing. This is rare type of tea because Sayama is mainly deep steamed. Please try by all means at our café. This is a new type of Japanese tea that is neither green tea nor oolong tea. It is slightly different sweetness than Japanese tea. We strive to bring out the maximum fragrance of the tea. The new taste does not remind of original Japanese tea. However, this is one of the Japanese tea so please try this by all means. 「Kanayamidori」 and 「Yabukita」 was together breed. It is a very rare varieties and difficult to grow. A pale and pretty scent and have a taste of Japanese dashi. This is recommending to those who like enjoying fresh tea. This is the tea you could enjoy everyday without getting bored. It is said that Yabukita occupy 70% of all Japanese tea varieties. Pure green tea made in mountainous areas in Shizuoka. Beautiful light blue, elegant taste, rich fragrance and refreshing astringent taste. This is a very excellent masterpiece. After all this is Japanese tea. A breed that was born by combining "Z1" and "Saeakari” breed together. The tea is original from Mizusawa city and was grown at the foot of a mountain. To avoid direct sunlight we use a cover to protect the tea leaves. Amino acid which is a taste component, rich in polyphenols. There are few bitterness ingredients such as catechin, caffeine, etc. It is easy to drink. It features sweet smell like corn and rich flavor like edamame. Clearly a pure green tea. Inside the astringent taste we can also feel the fluffyness. This elegant taste reminds of Kyoto. A delicious tea you can enjoy at any time. "Uji Midori" tea is is often used for Gyokuro. Kabuse tea has a unique scent of flower resembling to Ginkgo. A typical covered tea that has less astringency, easy to drink and has a rich taste. 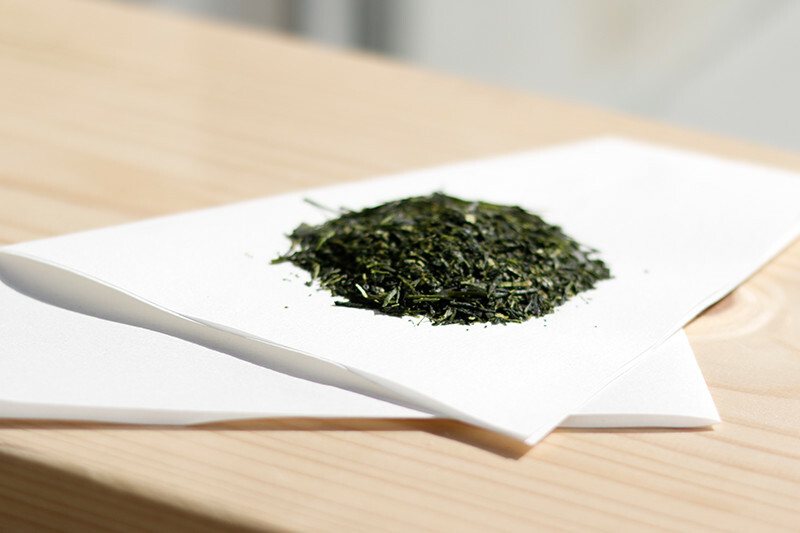 Gyokuro “Koto” is a high-quality tea which can be used for global tea contest. 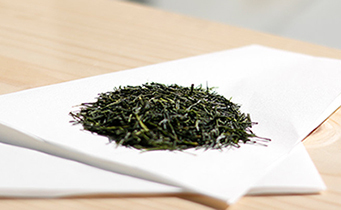 In order to maximize the charm of "Koto", tea leaves are thoroughly extracted using 30°C lukewarm water. By doing so you can enjoy the distinctive rich fragrance and translucent flavor. Trying this will make your imagination of Japanese tea change .. Please give it a try. Hoshino tea represents Yame city. You can enjoy the rich fragrance and unique flavor sweetness which will make you amuse. The deliciousness will make you unable to talk. There are variety of Asatsuyu planted in Kagoshima prefecture. The sweet smell is reminding of green soybeans. After the deep steaming, the tea results into deep green color with rich flavor. The flavor and scent makes us truly addicted. Okayama prefecture Mimasaka District is an old tea ceremony transmitted from old times. It is rare tea in the Kanto area which is made by boiling the tea leaves with steam in a large iron kettle and dried in the sunlight. - Feels like I have drunk it somewhere. - I will feel relieved ... Absolutely I think that it feels nostalgic. ※ You can get one additional cup of tea for free. It has a youthful scent and a refreshing flavor, and it has a unique flavor and sweet taste. - Eee.. Kuki is delicious! That was my thoughts. This is certainly the finest matcha you can find. (it is tasty even when you eat as it without pouring in hot water). Please come and enjoy the rich fragrance and rich flavor. . This is the best roasted shallow Japanese tea. You will fall in love with the unique sweetness. The brown color of the rice and the green contrast of the tea leaves are very beautiful. Tea leaves are used as ordinary green tea leaves. It is delicious even if you eat as it is. After we pour in the water the fragrance become so wonderful and it is truly addictive. I am amazed by the resemble to fallen leaves and the unique roasted aroma. After we softly poured the hot water it turns into a mildly taste that cannot be imagined from its appearance and scent. Iriban tea has an effect of refreshing inside your mouth that is superb compared to other teas. This tea also goe well with pastry. Sen tea is fermented in a tea incense burner to produce fragrant Hoji tea Please come to enjoy the fragrance of roasted tea. By using our small grill, you will have the opportunity to experience fresh baked rice cracker with your favorite seasoning. Oshiruko is sweet red bean soup with chestnuts and mochi(sticky rice). You can choose smooth sweet beans paste or mashed sweet bean paste. Because our café is small and we have unlimited seats, please do contact us in advance. We wish to provide you with the best experience while enjoying the time at our café. 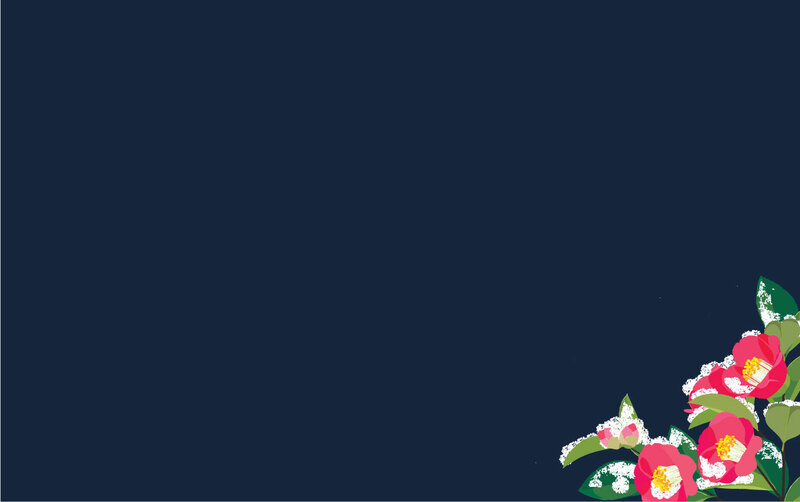 Copyright © 2018 Uplink Inc. All Rights Reserved.